The main advantage of PlatformIO is Project Configuration File named as platformio.ini . You can define different options per project with it. In our case we are interested in one option named as lib_dir from [platformio] section. It allows us to redefine a library directory where PlatformIO Library Manager will save the future libraries. First of all, you should install PlatformIO. For more detailed information please visit Installation page from documentation. You should see platformio.ini after these commands in each project’s directory. Each time when you want to manage your libraries you should change directory to specific project that is created above and run $ platformio lib command from it. So, let’s test our virtual projects in action. For that, I’m going to use my favourite Mac OS and Arduino IDE. $ platformio lib search "dallas temperature"
# The library #54 'DallasTemperature' has been successfully installed! # The library #1 'OneWire' has been successfully installed! As we can see, PlatformIO Library Manager has just installed DallasTemperature library and its dependent OneWire library. P.S: You can reproduce all these steps for Energia IDE. In this case, just use virtual project named piolib-energia and setup lib_dir in platformio.ini accordingly with your OS. PlatformIO Library Manager makes it extremely simple to find, install and keep libraries up-to-date. What is more, PlatformIO is an awesome and smart cross-platform code builder. You have no need to install any IDE or compile any tool chains. PlatformIO has pre-built different development platforms including: compiler, debugger, uploader (for embedded) and many other useful tools. If you are interested in it I recommend to look into a few Project Examples. Hi Ivan, thanks for this post! You mentioned Arduino IDE and Energia but what about Eclipse CDT? Is it possible to import / make visible these libraries inside Eclipse? Sure, the libraries are enabled by default if you use PlatformIO as builder in Eclipse IDE. Here is explained article about How to use PlatformIO with Eclipse IDE. The latest IDE versions have added the library manager feature. Does it have support for library dependencies? Automatic updates? Automated? No. But it will inform you that you CAN upgrade if you manually review libraries using the library manager. Thanks for the info. And how about library dependencies? Hi Ivan, Thank you for this post. You describe here how to make available Platformio managed libraries to the Arduino IDE, if I understand correctly. 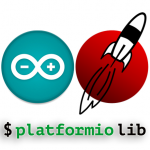 But I am interested in using the existing Arduino libraries, already on my disk in Platformio. Is this possible? How? 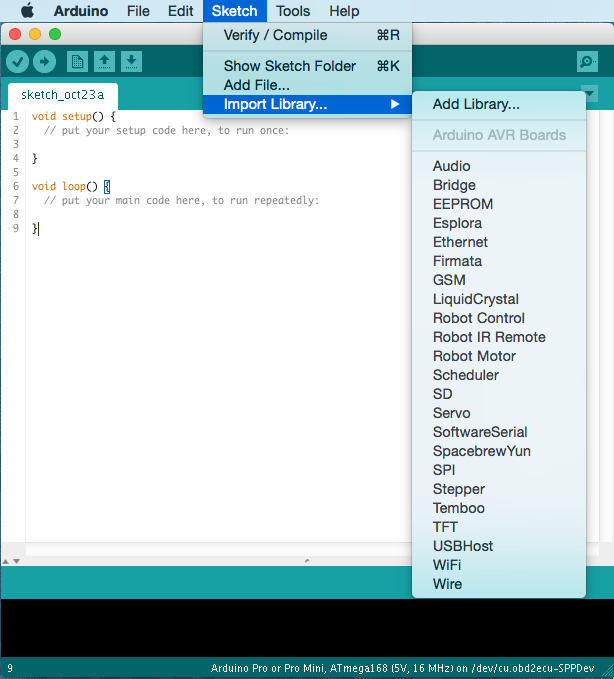 Also, there is a ‘libraries’ custom folder where I developed my libraries for Arduino. Can I use these in a Platformio project? Are going to use Arduino IDE? 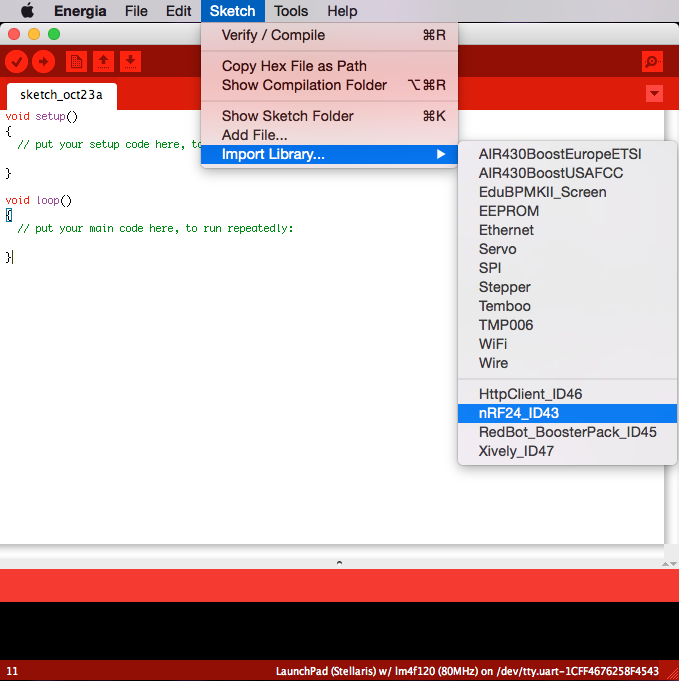 I used the Arduino IDE so far and I am trying to switch to Eclipse + PlatformIO, which is very appealing. However, I don’t know how to use the Arduino libraries, e.g. RobotIRremote. I’ve seen them listed under ~/.platformio/packages/framework-arduinoavr/libraries, but how to use them? I’d like to do sg like #include , what works in the Arduino IDE. However, I don’t know how to use the Arduino libraries, e.g. Use these libs like you use them in Arduino IDE. PlatformIO will find and compile them automatically. Does the main file have to be called main.* ? Issue for what? For not ompiling the *.c file? You are going to use C++ within *.c file. Please decide what do you want to do. Remove C++ code from this file or change extension of the file to *.cpp. I am quite fine now with Eclipse+PlatformIO, just experiencing a very annoying detail: the Serial is not recognized by the IDE and underlined as error. Do you know maybe where is this symbol defined? 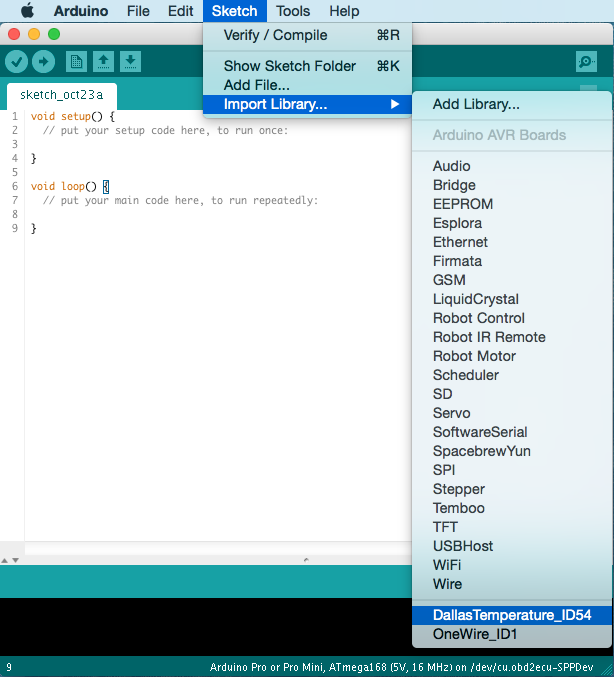 In the original Arduino libraries I guess it is in HardwareSerial.h, but there is no such file in framework-arduinoavr. How can I make the IDE content? Build id: 20150219-0600. The init command did not help. My board is a megaatmega2560. Thanks, I’ve just updated an article and changed *.c to *.cpp to avoid similar issue.